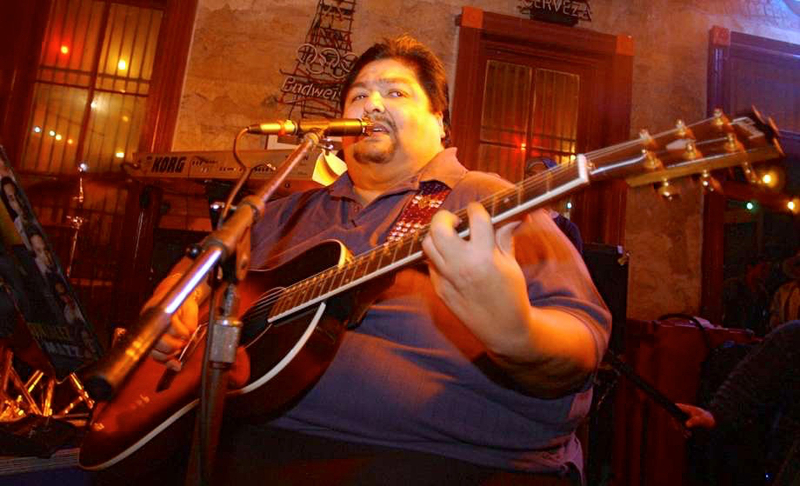 Tejano music – a fusion of traditional Mexican styles with U.S. rock and R&B elements – appealed to a young generation of activist Chicanos during the 1960s and ’70s. Bands such as Little Joe and the Latinaires and Sunny (Ozuna) and the Sunliners updated the standard accordion-based conjunto line-up by adding big brass sections, modern vocal stylings, and rock-star trappings. These modern ensembles helped carry the Tejano sound into the new millennium, and some are still active today. Grupo Mazz – a spelling intended as a play on the rock group KISS – came on the scene slightly later. It had its heyday in the 1990s, when it won a record-setting series of Latin Grammys for Best Tejano Album. Gonzalez was with the band until the very end, and he kept in touch with fans during a difficult illness in his final months. To read a biography of the band and its co-founder, see the Mazz page here.